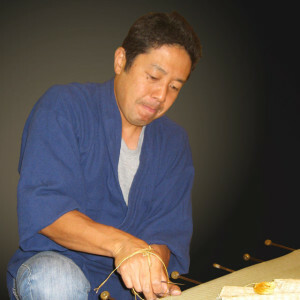 we make Tatami with exceptionally high level of traditional technique carefully and honestly. 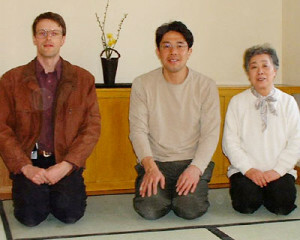 Based on the technique and faith inherited from generation to generation, we will make tatami carefully and honestly for our customers’ satisfaction. We have three First Class Certified Tatami craftsmen and one Second Class Certified Craftsman, who make tatami one by one with our traditional technique inherited generation to generation carefully and honestly. All our effort aims at customer’s satisfaction with our high-quality and long-lasting tatami, and we never compromise the quality of our products. Such faith is what we call “craftsmanship” we have inherited generation after generation. 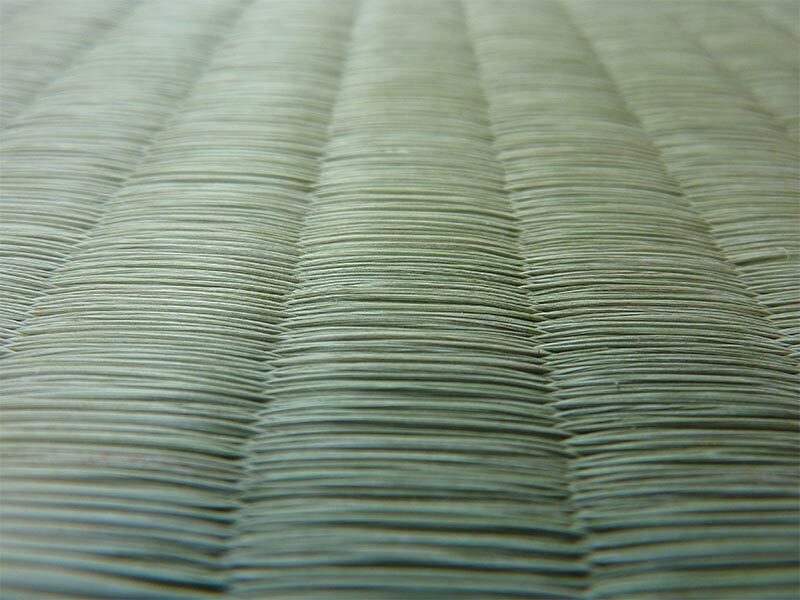 We pursue the best quality of tatami-omote among the high quality tatami-omote made in Japan. We use only tatami omote (Igusa) made in Japan. 80% of tstsmi-omote bought and sold in the market now is made in China. 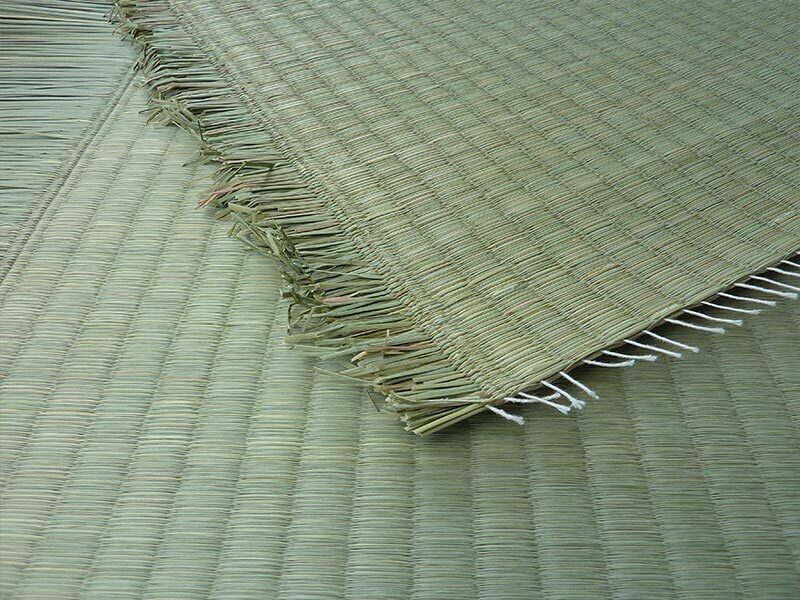 Among the rest, 20% of the whole products, we select the best of the best tatami-omote made in Yatsushiro region in the Kumamoto prefecture, the largest producer of tatami-omote by buying the best Igusa at the time directly from the Igusa farmer there. As for Japan made Igusa, there are big differences in quality between high-quality Igusa and Low-quality ones. That is why the good ability to see through the difference in quality of variety of Igusa made in the same area is necessary. 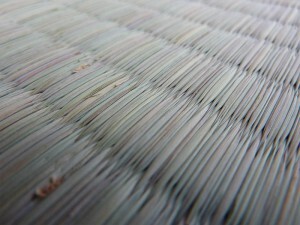 Tatami is used and loved by Japanese season by season since more than 1000 years ago. 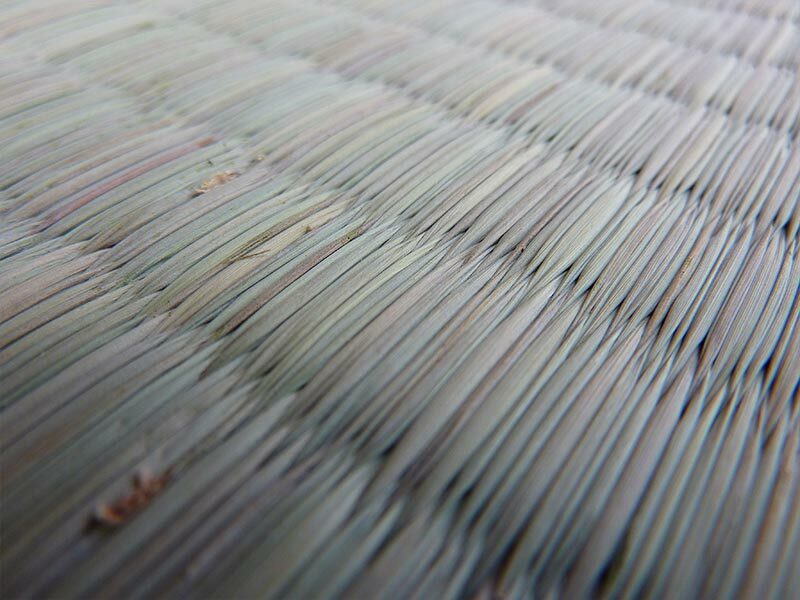 Tatami-omote, face of tatami, has been woven with natural Igusa, which Japanese four seasons foster and raise. Seedling of Igusa is planted into the field in cold time of winter. Passing the Winter Solstice, growing in the sunny spring until the Summer Solstice, and is harvested in July under the harsh summer heat. After harvested, Igusa is laid down in warehouse, and make it age (ripen) by autumn. You can enjoy the transformation of atatami-omote according to the time passing: Young Blue Tatami just after being refaced, golden Hon-Tatami as ripening, and brownish Nagorino Tatami. We, a producer, offer you the best Igusa we grow, thinking best for customer’s safety, and doing our best we can. 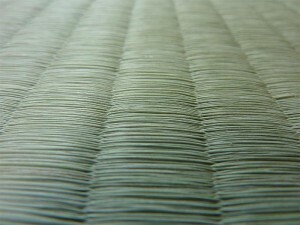 Please have a look at our pride, tatami-omote made in Kumamoto. We only select the high-quality traditional wara-doko made in Banshu region. 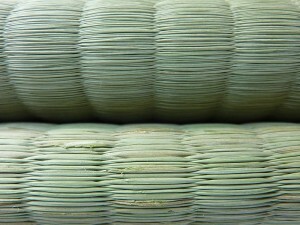 Wara-doko is the bed for tatami, 100% made of straw. 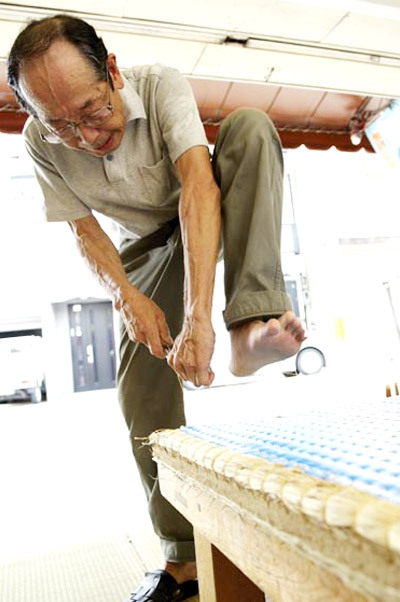 These days, Kenzai-doko, wooden board artificially made is widely used. 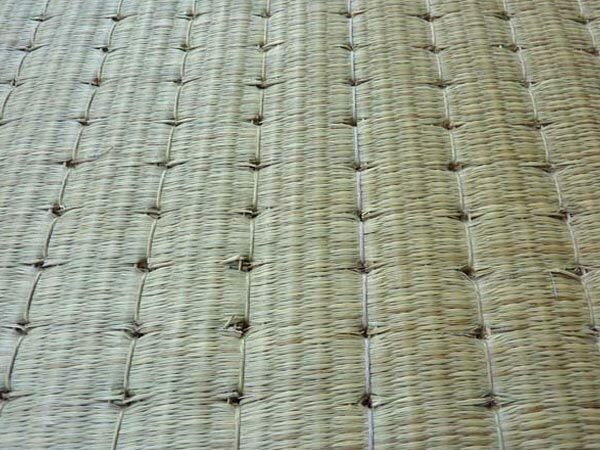 We, however, highly recommend to have tatami using wara-doko (straw bed), which is comfortable when touching, abele to condition the humidness of the room, and is with high durability. “Tatami lasting for hundred years” require this wara-doko. 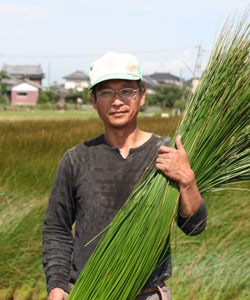 In addition, we only use the No.1 producer, Banshu-doko (made in Banshu region in the Hyogo prefecture). In case wara-doko may not suitable depending on the living environment or the way of usage, we can offer the best choice from Kenzai-doko or other options. Please do not hesitate to ask us, who have great choice. All our efforts aim at customer’s satisfaction. We do not making exclusively expensive tatami. 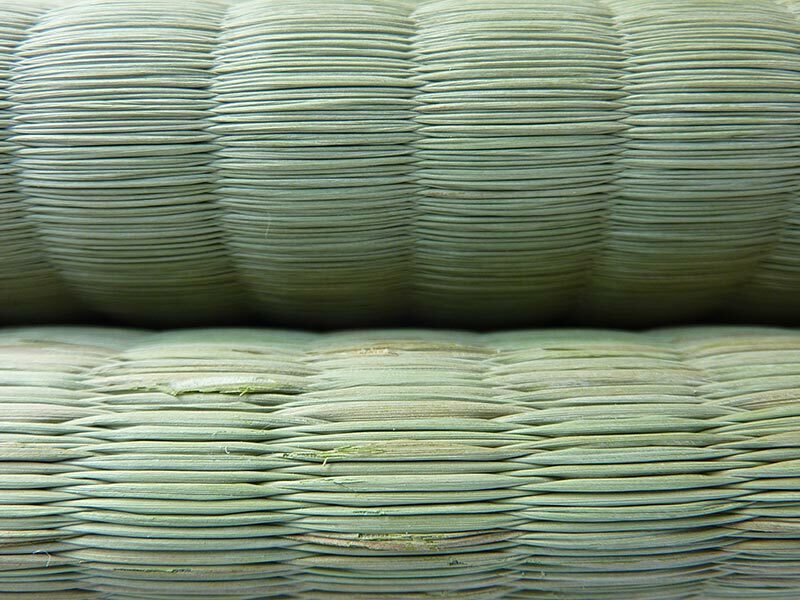 According to your environment and usage, we prioritize customer’s request and do our best to offer tatami along with after care service so that you will be able to use tatami comfortably for long time. This is only possible by craftsmen like us, who have distinguish technique, long experience, and deep knowledge. Please do not hesitate to tell us your request. 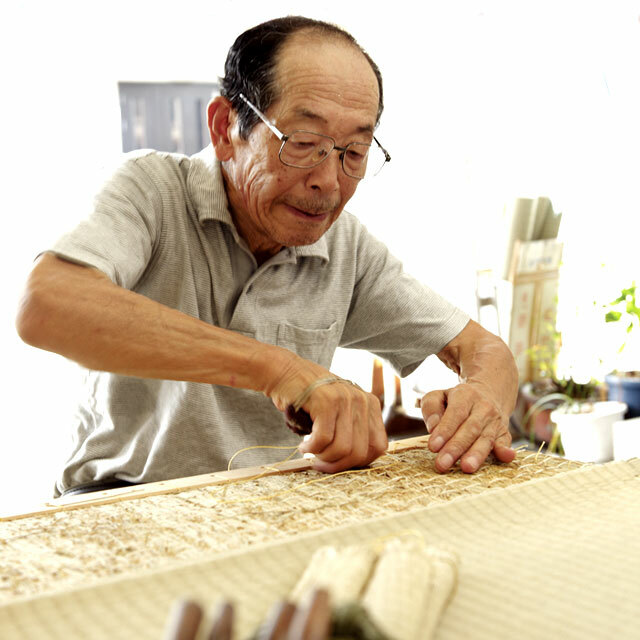 We have our pride in realizing your ideal tatami.